The favorites for this year's World Cup title are Brazil and Germany. The two teams are almost on a par with their chances of winning, as statisticians around Achim Zeileis from the University of Innsbruck show. With their statistical model based on bookmakers' odds, the researchers have successfully predicted several tournaments in the past, among them the correct world champion Spain in the 2010 FIFA World Cup and three out of four semi-finalists in the 2014 FIFA World Cup in Brazil. There are two top favourites for this year's FIFA World Cup in Russia—Brazil with a 16.6 percent probability of winning the title, closely followed by defending world champion Germany with 15.8 percent. "The most likely final with a probability of 5.5 percent is also a match between these two teams, giving Brazil the chance to make up for the dramatic semi-final of 2014," explains Prof. Achim Zeileis from the Department of Statistics at the University of Innsbruck. However, if it comes to this final, it is completely open how it will turn out: Brazil's probability of winning the final against Germany is just 50.6 percent. 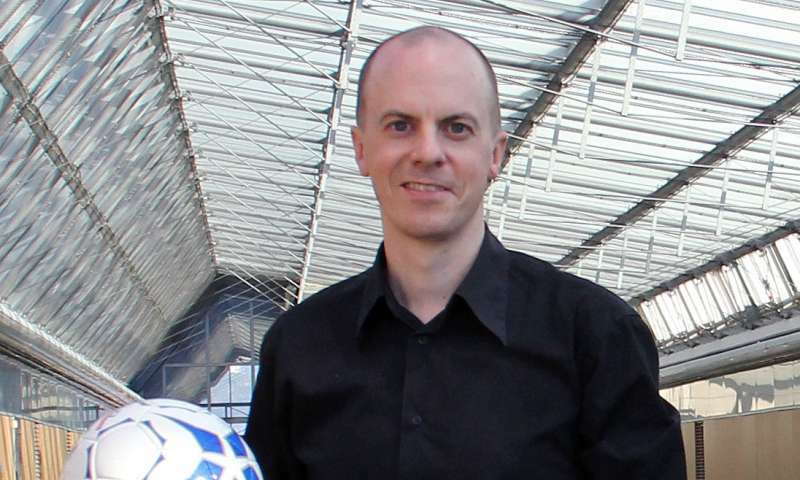 Achim Zeileis, together with colleagues from the Vienna University of Economics and Business (WU Vienna), has been calculating the winning probabilities for all teams in major football tournaments for several years, based on the so-called bookmakers' consensus model. The research team uses the odds of 26 online betting providers (bookmakers and betting exchanges), which, combined with complex statistical models, allow a simulation of all possible game variants and results. The model allows the simulation of probabilities for the final game, as the statisticians repeatedly play through the entire tournament millions of times, from the group phase to quarter-final and semi-final matches until the final—playing through every conceivable match pairing. Behind the two top favourites Germany and Brazil there are two other teams with very good chances: Spain (12.5 percent) and France (12.1 percent). The most likely semi-final pairings are therefore Brazil vs. France (9.4 percent) and Germany vs. Spain (9.2 percent), with Brazil and Germany somewhat more likely to be the winners. The bookmakers' odds see the host country Russia as the twelfth-best team overall: The probability that Russia will reach the quarter-finals is still 28.9 percent, but this probability is reduced to 2.1 percent for winning the tournament. "Naturally, the bookmakers want to earn money with their betting offers, and hence they set their odds as realistically as possible, taking into account not only historical data but also the tournament draw and short-term events such as injured players," says Achim Zeileis. This forms a very solid basis for the model designed by him, Dr. Christoph Leitner and Prof. Kurt Hornik (both WU Vienna). Before they can use the data for their forecast, the scientists adjust the quoted bookmakers' odds for profit margins (so-called "overrounds"). The odds then give each team a basic probability of winning; starting there, the statisticians can determine how likely it is that a particular team will play and win against another team. Combined with the bookmakers' expectations, the pairwise winning probabilities can be incorporated into a calculation model that can be used to simulate any possible game variant on the computer. "Our model has the advantage in that it directly estimates the overall winning probability for each team while also implying 'survival' probabilities over the course of the tournament," explains Zeileis. "However, we are far from a 100 percent certain forecast," he adds. For example, the most likely forecast for the EURO 2016 was that host nation France would beat Germany in the semi-finals and then go on to win the final. "If Gignac had scored the goal in added time against Portugal rather than just hitting the post, our forecast would have been just right," says Achim Zeileis. But things turned out differently and Portugal won in extra time. This illustrates that small things can often make the decisive difference in football, which is why predictions with high probabilities cannot be made. "It is in the very nature of predictions that they can be wrong, otherwise football tournaments would be very boring. We only deliver probabilities and not certainties," says Achim Zeileis.